Exciting news in regards to writing, acting, and performing! SHE BOOKED! (I Booked) ORANGE IS THE NEW BLACK! Here’s a pic from the best day of my life (thus far)! I got to work on an Emmy Nominated Show! It was only a couple lines, but if I've had a convo with you this year and you asked me what I've been up to, I've probably told you I'm working hard to "level up." I firmly believe that getting to be on this show and earning a tiny speaking role on it is a culmination of all the little ways I've tried to put myself out there and say yes to things that scare me. And yah you bet Mama Universe listened! I feel so grateful and so blessed to have had this opportunity bc wow there really is no better feeling than getting a first legit speaking role on a dope TV show. Thank you so much to my manager, Annette, Jen Euston Casting, Danny, my set friend for taking the pics, Heather, the writer for the episode I was on, for indulging me when I told her how I excited I was to be there and how happy I was to see that she is an Asian American Woman on set who is in a position of power, and my family for believing I should always be the star of every show. I auditioned for the NBC/UCB Diversity Showcase, and got it! I auditioned for the the NBC/UCB Diversity Showcase and was selected to perform my original characters in it! 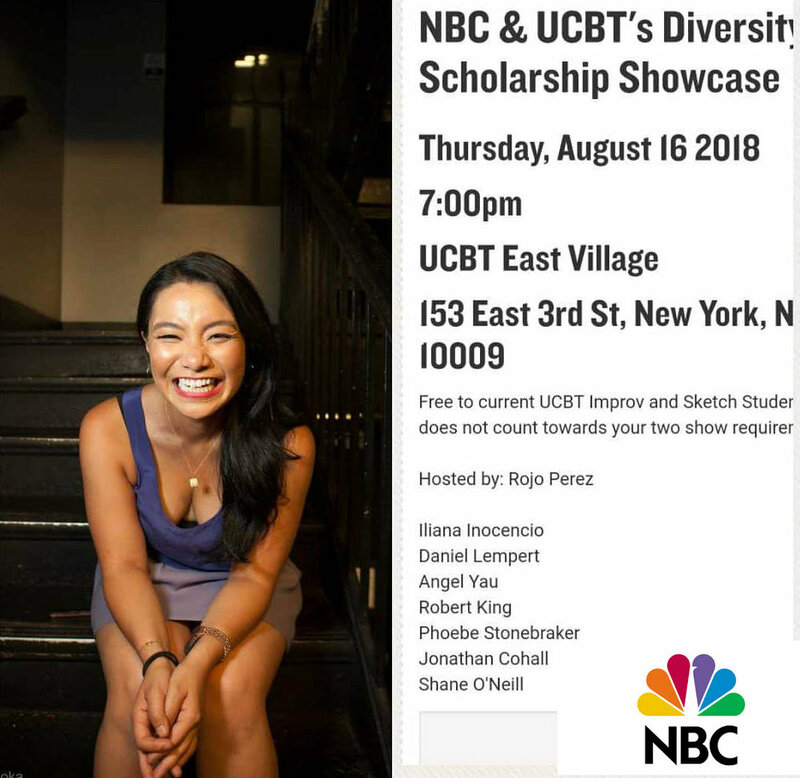 It took place on August 16, 2018 and this roster of talented people and I got to perform for NBC execs and other industry folk at UCBT East Village. Many thanks for Shannon O'Neill, Michael Hartney, and NBC for choosing me to be a part of it! 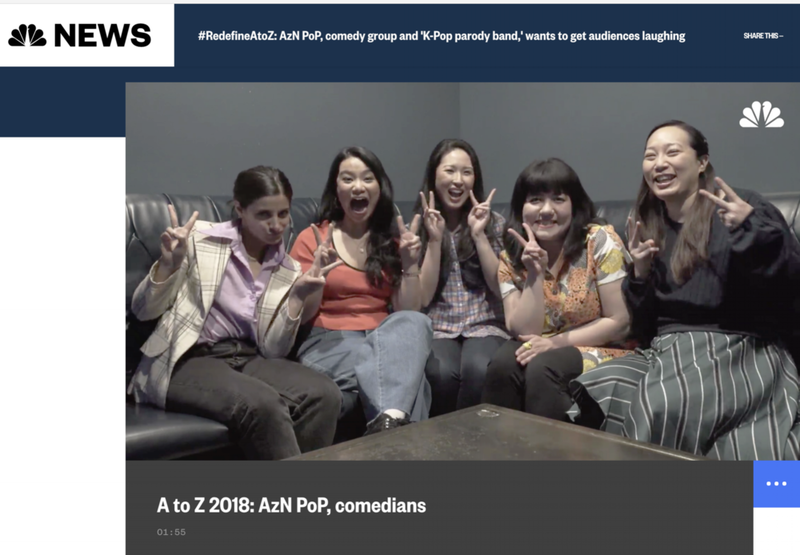 NBC names AzN PoP! an "emerging star" & "breakout voice"
So honored! AzN PoP was listed on NBC Asian America's 2018 list of emerging stars in honor of Asian American Heritage Month. We are amongst amazing Asian trailblazers like Kevin Kwan, Kulap Vilaysack, Rubi Ibarra, Awkwafina, and Lana Candor to name a few. 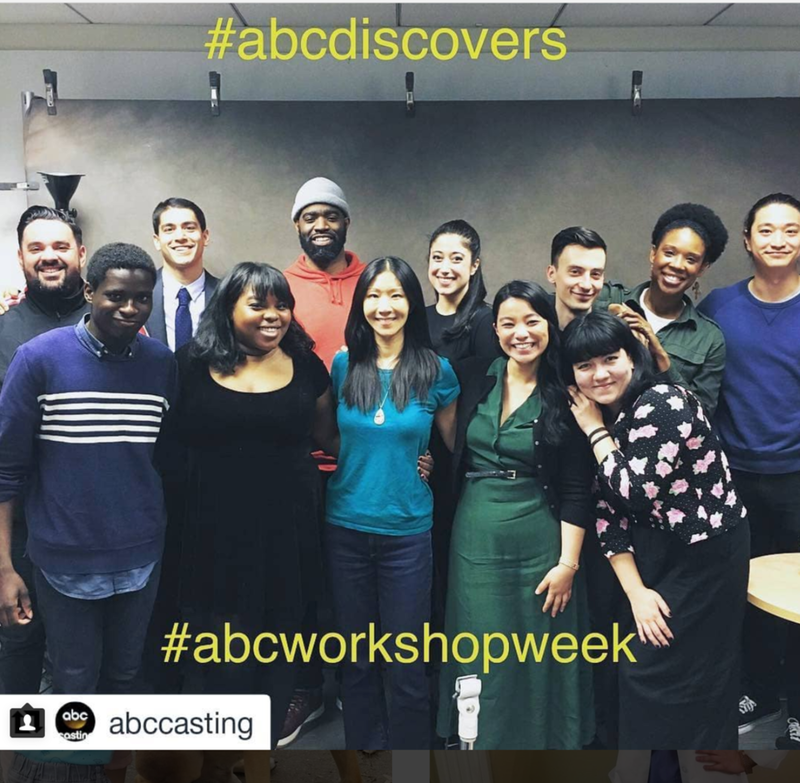 I was selected to be a part of ABC Casting's Workshop Week! Recently had the pleasure of taking part in ABC Casting's Workshop week! I was one of these many talented folks for the comedy group! Marci Phillips and Erica Hart are two of the kindest and best casting directors in the biz and I'm always thrilled to be in the same room as them. Thank you, ABC! Just signed for Commercial Representation! I'm excited to announce I just signed with Ingber and Associates for commercial representation! After a few years freelancing on and off with various agencies, I met Carole and Blake and knew they were the ones for me! Follow me, otherwise all that time I spent walking without looking up from my phone will have been in vain.